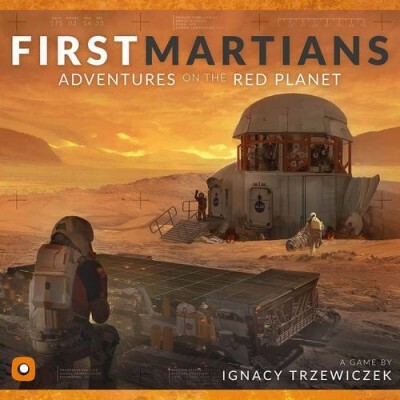 Idioma: Inglés nº de jugadores: 1-4 Duración: 120 Built on the core of the award-winning Robinson Crusoe: Adventures on the Cursed Island, First Martians: Adventures on the Red Planet pits players against the hostile Martian environment and a whole host of new adventures and challenges. The immersion experience is further enhanced with an integrated app that maintains the balance and challenge throughout. Players have the option of taking on the design as a series of separate games, in a custom campaign mode in which each successive game builds on the last, or even an open world mode in which they are free to roam about the Martian surface and explore for as long as they can survive.